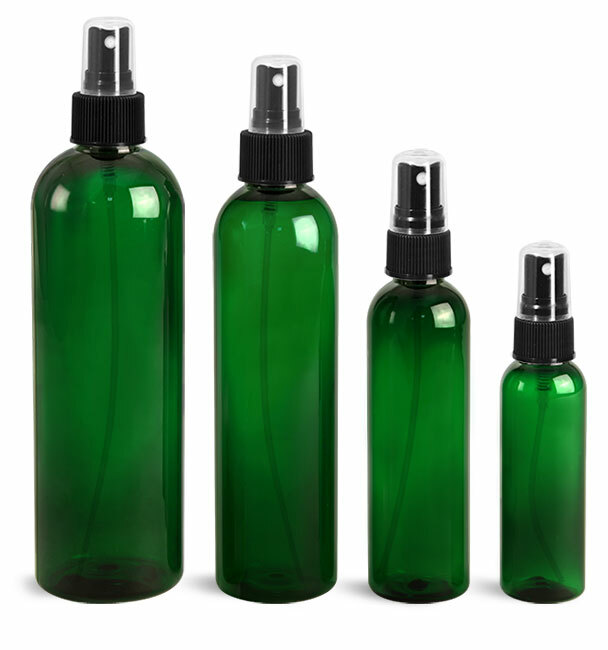 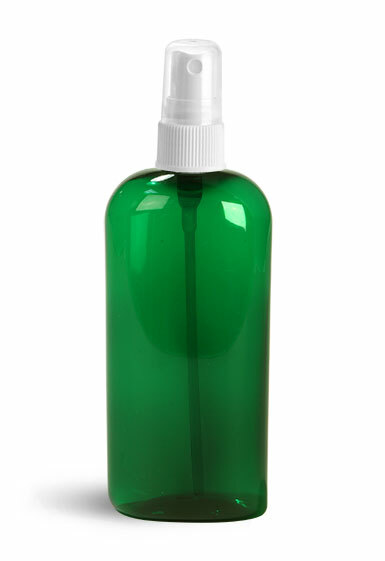 The clear and green PET plastic bottles topped with your choice of white or black fine mist sprayers are an excellent packaging container for all of your body spray and body mist fragrances! 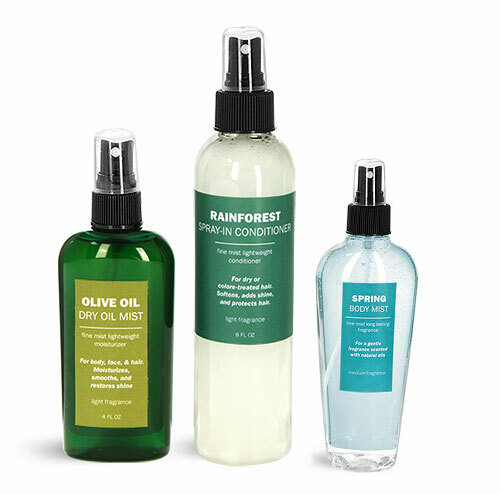 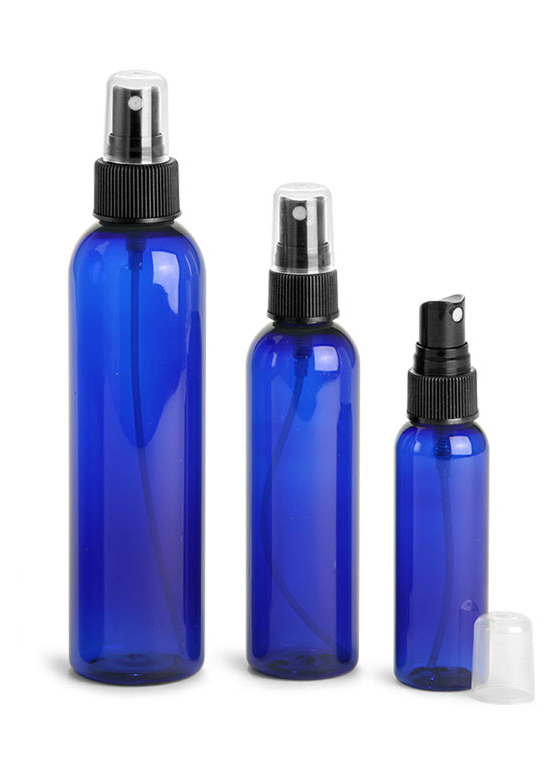 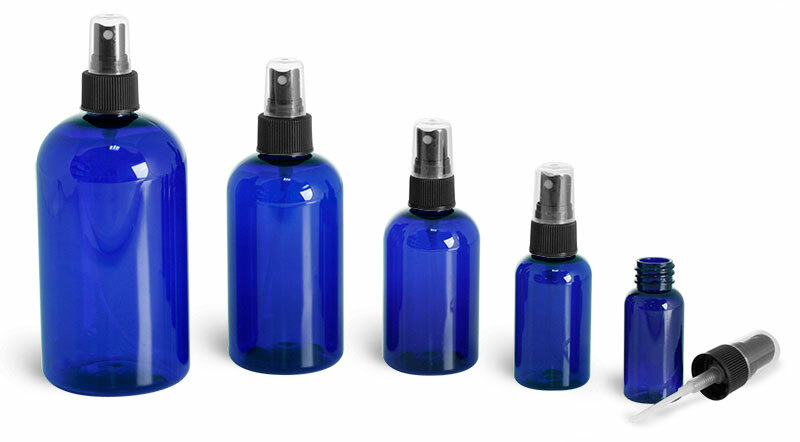 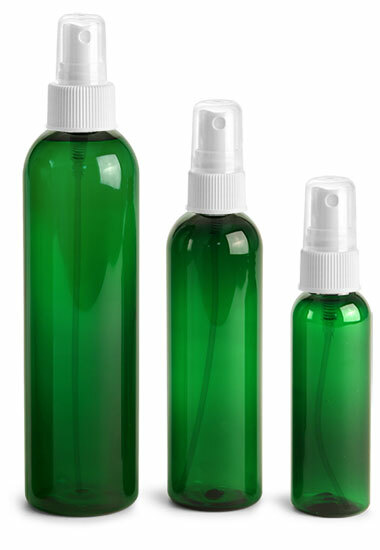 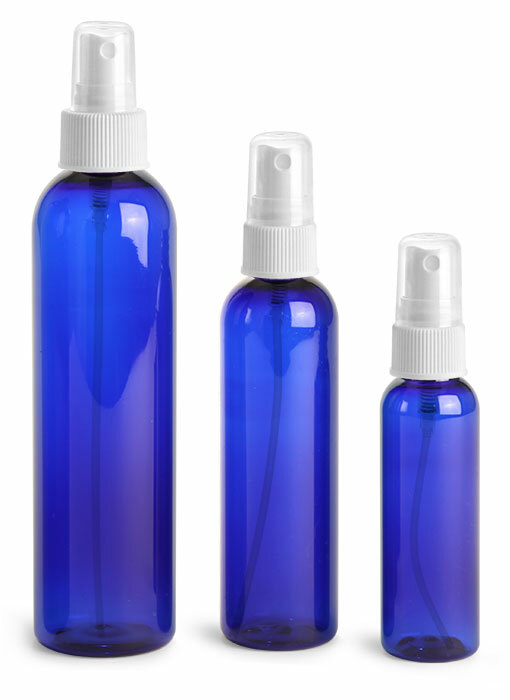 The convenient body spray bottles are available in three styles: cosmo rounds, naples ovals and cosmo ovals. 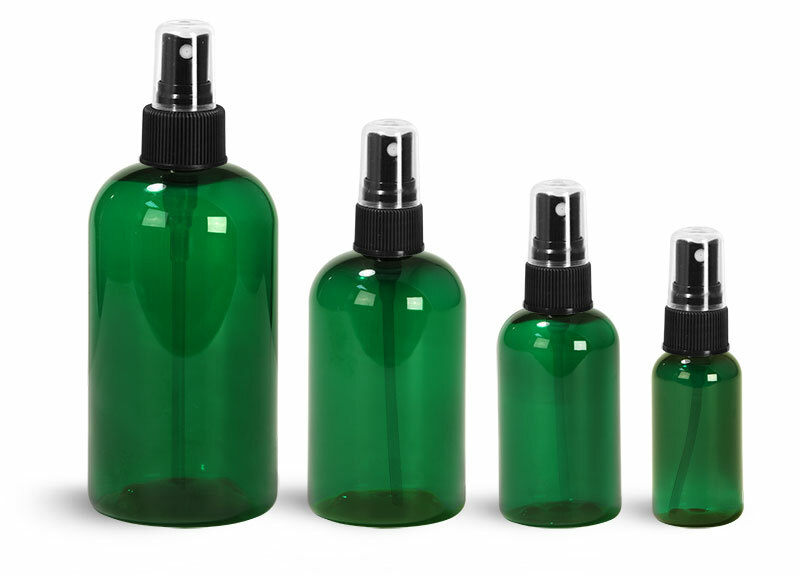 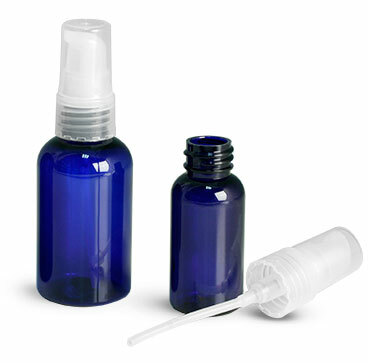 The plastic bottles allow you to display the clarity level and color of your product in an enticing fashion! 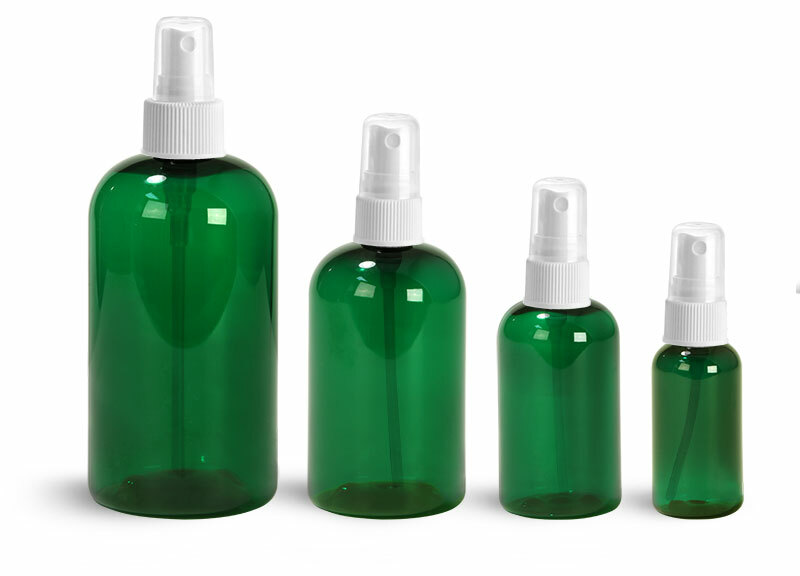 If you are looking for colored bottles to match an existing line, choose from our blue, amber and green PET bottles with sprayers.